Guidelines for miking a saxophone with DPA Microphones. 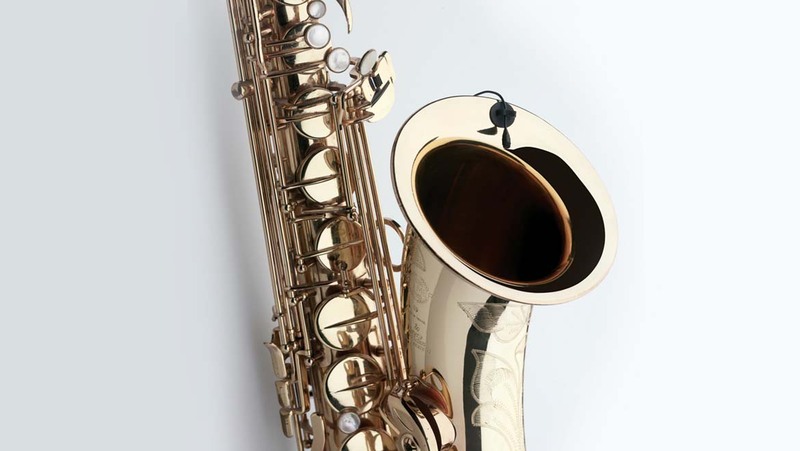 Achieved knowledge: This article will give you some guidelines on close miking a saxophone. It will discuss the best type of microphone for the job, suitable placement options and mounting tips. The saxophone family is large and consists of more than eight different types and sizes. The radiation patterns are very complex and it might require some experimenting with the microphone placement to find the desired sound. The overtones and the many fine details of any saxophone require a microphone that handles high frequencies and has a high-level of accuracy as well – on- and off-axis. Saxophones radiate sound from the tone holes as well as from the bell. The most natural pickup is achieved if the microphone captures a balanced mixture of these sources. 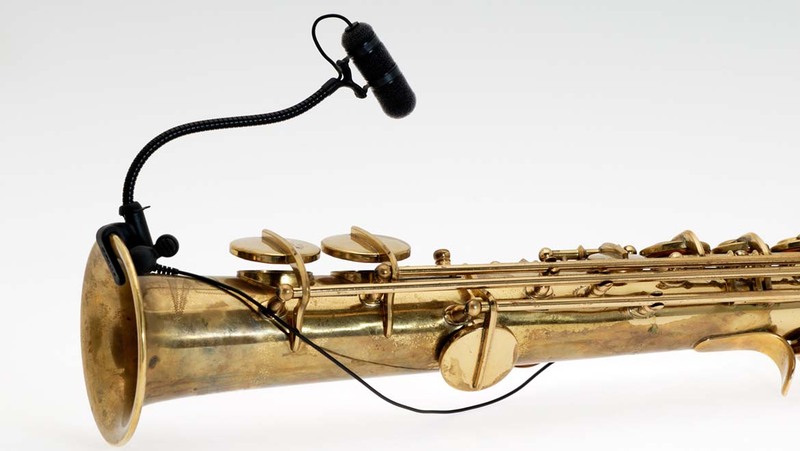 Attaching the microphone directly on the saxophone gives the player freedom too move around but also limits the number of sound holes covered by one microphone. This is an issue especially on larger saxophones like the baritone or the bass. The spot slightly to the saxophone player’s right hand side, next to the bell, is a good starting position to mount a microphone. This position represents many of the different sound sources the saxophone offers. We want to capture the different sources as evenly as possible. In this placement, the bell might sound too “midrange” but offers high level audio and good separation onstage. For more information, read the Mounting the microphone section below. Using an omnidirectional microphone – like the d:dicate™ 4006ES Omnidirectional Microphone or the d:screet™ 4061 Miniature Omnidirectional Microphone – allows you to pick any one place, close to the instrument. If you use a gooseneck, you can place the mic a short distance from the instrument if you prefer. Using an omnidirectional microphone ensures the sound will not lack low-frequency due to the proximity effect as when using directional microphones. Proximity effect is an increase in bass or low-frequency response when a sound source is close to a directional microphone. All of the above-mentioned microphones can be placed either on a microphone stand or directly on the saxophone using the appropriate microphone mount. A great close-miking mount is the STC4099 Clip for Saxophone, which is sturdy and made to stay in place in almost any position. It fits over the edge of the saxophone and can be adjusted to reach across the different widths of many different instruments due to its flexible design. The clip works together with a number of our goosenecks allowing you to not only place the microphones according to your taste but also taking the application and the surrounding noise into consideration. The goosenecks are extremely flexible and can be slightly bent in order to position the microphone as needed. The STC4099 Clip for Saxophone works with the GSM4000 Gooseneck Shock Mount, the GM1600 Gooseneck mount for d:screet™ and the d:vote™ 4099 Instrument Microphone.